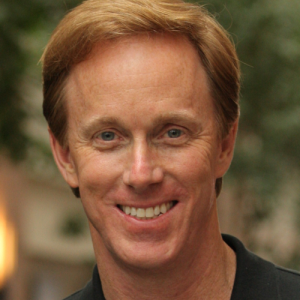 “We’re still in the early innings and the market is growing rapidly,” said Pandora CEO Roger Lynch at the top of yesterday’s Q2 earnings call. He deployed the “early innings” metaphor in Q1 also. This time, Wall Street took a swing at that pitch, sending P stock up 20% in Wednesday morning’s early trading. Total Q2 Revenue was $384.8 million, growing 12% year-over-year, exceeding top-end of guidance. Q2 Subscription revenue was $113.7 million, growing 67% year-over-year. Added 351 thousand to approximately 6 million subscribers — 23% year-over-year growth. 5.09B listening hours during Q2, down from 5.22B in the year-ago quarter. Monthly active users were 71.4-million in June, substantially down from 76-million last year. A 6% drop in this much-publicized metric usually makes investors sad and anxious, but doesn’t seem to be dampening enthusiasm today. Overall, financial results beat guidance estimates issued by the company last quarter. He had investors at “lowest cost of acquisition,” and Lynch also detailed an AT&T deal in which customers of the telco’s unlimited data plan get Pandora Premium bundled in free of charge. 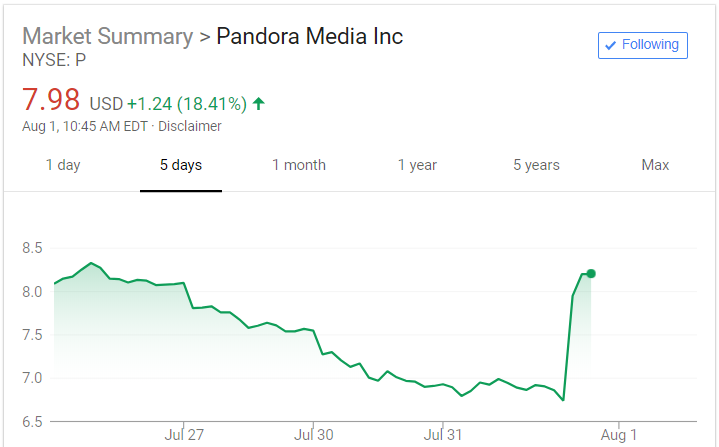 “In addition to being a great value for consumers and expanding distribution for Pandora, we expect the deal with AT&T to yield subscribers with a higher lifetime value because the bundles have both lower churn and lower acquisition cost,” Lynch observed. These deals emphasize a company focus on lowering the cost of customer acquisition. That point came up over and over. Partnership clearly push in that direction, and Lynch also said that direct marketing was undergoing continual optimization and streamlining to reduce that expense. Not much to report about smart speakers during the call, but Roger Lynch did say this: “As the market shifts to voice commands in multiple environments, in homes and cars are in app voice controls will make Pandora much easier to use.” No doubt true.